October 14, 2011 A new Gallup poll reports that support for the death penalty is at its lowest level since 1972. 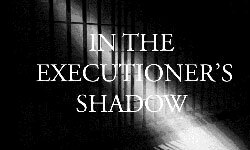 In fact, though, the decline, from a high of 80 percent in 1994 to 61 percent now, masks both Americans ’ambivalence about capital punishment and the country’s de facto abolition of the penalty in most places. When Gallup gave people a choice a year ago between sentencing a murderer to death or life without parole, an option in each of the 34 states that have the death penalty, only 49 percent chose capital punishment.